The Greffuhle GV-5 by Yokohama are JDM Wheels made for off road JDM trucks. The Greffuhle GV-5 are made for a special segment of the Japanese car community that likes to dress up JDM Trucks and offroad vehicles with aluminum wheels and certain style of shiny bars, lights and racks, more notably from JAOS. 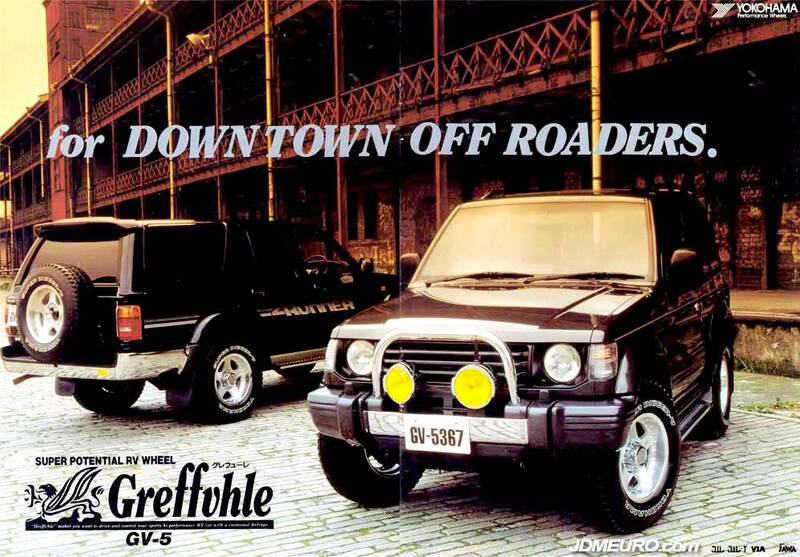 Pictured are the Yokohama Greffuhle GV-5 on a Mitsubishi Montero and a Toyota 4runner.